Summary: In most of my earlier posts I have written several memory card errors and their fixes. And in the same phrase, in this post, I am going to provide few solutions that will definitely help you to fix memory card error – “image database file not ready”. 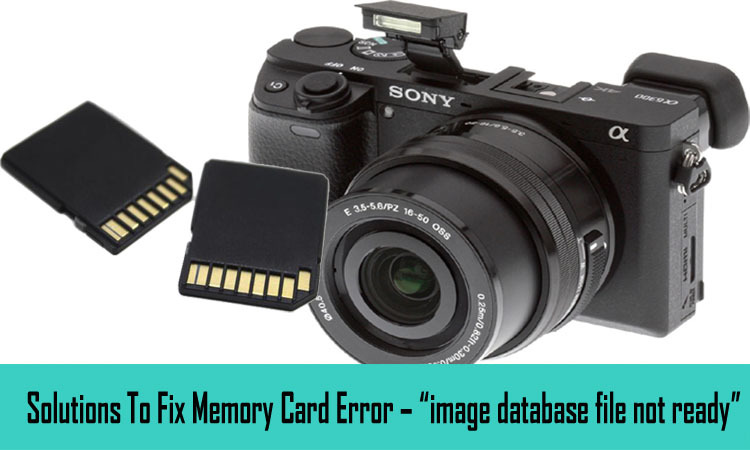 I have found in many communities and forum websites, that people using memory card in Sony digital cameras or camcorders are getting card error “image database file not ready”. This error message is creating havoc to the users. Below you can see the real user’s examples. My Sony NEX 7 camera will not take pictures. The screen says Image Database File not ready. The scxreen onm my NEX 7 camera says Image Database File not ready. It will not take pictures. Just got a new a6300. Inserted brand new SanDisk Extreme PRO 64GB SDXC U3 Card, and getting the onscreen error “image database file not ready” with just an OK button, and when I hit OK, it tries to read card again, and error appears again. Camera seems stuck in this loop, and I can’t do anything else. Tried another card I had around, Sandisk Extreme 32GB SDHC U3. Same issue. Any suggestions? Hence, I have decided to provide effective solutions to fix image database file not ready card error. We will come to the solution part on how to troubleshoot Image Database File Not Ready, but before that let us know – why we get ‘Image Database File Not Ready’ error? What are the reasons behind the occurrence of such error message? Well, below find out the answer. Reasons: Why we get error message ‘Image Database File Not Ready’? When required image database files are not available in the camera/camcorder memory card is the main common causes for the occurrence of “image database is not ready” error when memory card is inserted into the camera or camcorder. Even pulling out the card and re-inserting it back does not fix the problem, and issue still remains. If the problem is not fixed instantly, then it further starts to create other problem such as “format the card”, but when you try to format the card within the device, you won’t be able to do so and the process fail. Overall, the issue seems to be stuck up situation. In order to fix or repair image database file not ready issue, you have to format the card. Important Note: Before you proceed further to format the card to solve image database is not ready, you must take backup of images and videos stored on the memory card. Because formatting the card will erase entire files stored within it. If you are using a new memory card in the camera, then you can easily format the card within the camera to create a new image database file to record images. MENU → [Setup] → [Format] → OK. If you are using the old memory card and images are already stored on the card, then formatting the card within the camera itself will not work. MENU → [Setup] → [Recover Image DB] → OK.
Connect your memory card to PC or Mac. Transfer all the files from the card to system and then delete everything from the card. Now re-insert the card in the camera and see if problem is resolved or not. Important Note: Before you proceed further to format the card on PC to resolve image database is not ready, you must take backup of images and videos stored on the memory card. Because formatting the card will erase entire files stored within it. If your problem is not resolved by following the above solutions and you are still receiving the same error message, then connect the SD card to PC and try to format it, to get rid of the error message. But do not forget to take backup because, the error may corrupt the photos and videos saved on the card and can make them inaccessible. In such case, you can use Memory Card Recovery software. 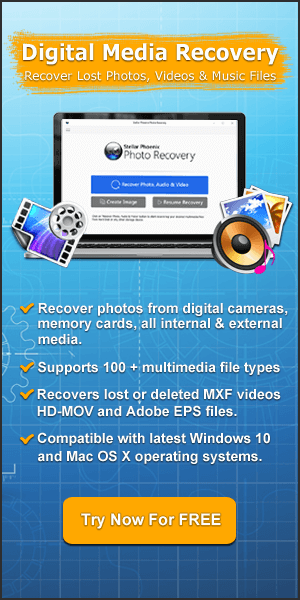 It is one of the powerful software that will help you to recover corrupted, inaccessible, lost, deleted or formatted files such as photos, videos and audio files from the card devices. If problem still persist, then the most effective solution to fix the error message is to replace the memory card with new one and format the card new memory card before using it in the camera. Check if the card you are using is locked. If it is locked then unlock it. There is a small tab just on the side of the card, you can see the word LOCK just next to it. You need to just simply slide the tab towards the opposite side and then check problem is resolved or not. Well, this is not much effective solution, but trying this solution does not cost anything to you. Simply Turn OFF the camera and Turn it ON back again and immediately try to format the card, before camera try to read the card. If none of the above solutions assist you to troubleshoot image database file not ready, then you can use Repair Utility that is provided by respective camera manufacturer. But you must know how to use it and it should be done carefully. For this you can refer user manual that you have got along with your camera or you can contact your respective camera repair service center. You can fix ‘image database file not ready’ camera card error by following the above-mentioned solutions. 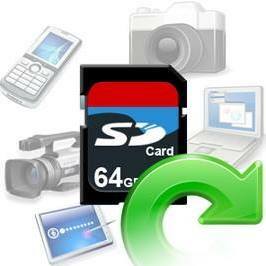 But there is also a huge possibility to lose photos and video files from the card while fixing the issue. So, in such case, how do you recover lost pictures and video files after fixing the image database file not ready card error? Below you can find the solution! 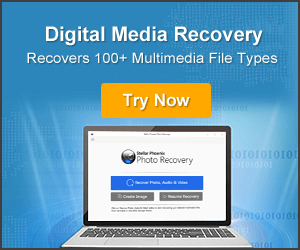 Photo Recovery Tool is the advanced and suitable program that can easily retrieve multimedia files from memory cards that are corrupted due to any other reasons. This software support all types of image (JPG/JPEG, PNG, BMP, RAW, etc), videos (MP4, AVI, MOV, HD-MOV, MKV, etc) and audio files (WAV, AMR, MP3, FLAC, etc). This software support all types of memory card such as SD card, SDHC card, SDXC card, microSD, miniSD, CF card, TF card, xD picture card, Sony XQD card, MMC card and more. When you use new memory card in the camera, then it is recommended that you must first format the new card before inserting it into camera card slot. Also make a habit of keeping a backup of images, videos and other files. It will help you to restore files from backup in case of data loss scenario. Do not use the same card on different and multiple gadgets. Do not eject or pull out the card improperly from the camera or from any other devices. Properly handle and care memory card to avoid error. Always use updated anti-virus program to scan and protect memory card from any kind of malware/virus infection. The error ‘image database file not ready’ is mostly faced by users using Sony camera. But, by now, I hope (not hope, I am confident) that you were able to fix memory card error “image database file not ready” by following the solutions mentioned above. Fix Memory Card Error – “image database file not ready” by following these 8 solutions. 1. Format The Camera Card Within Camera, 2. By using Recover Image Database Camera in-built option and so on.